This post is dedicated to someone very dear to me that went to be with Jesus on April 10, 2014. Some people grow up not knowing their grandparents. On my mom’s side, I was fortunate enough to grow up with four different grandmas that were basically like having one. 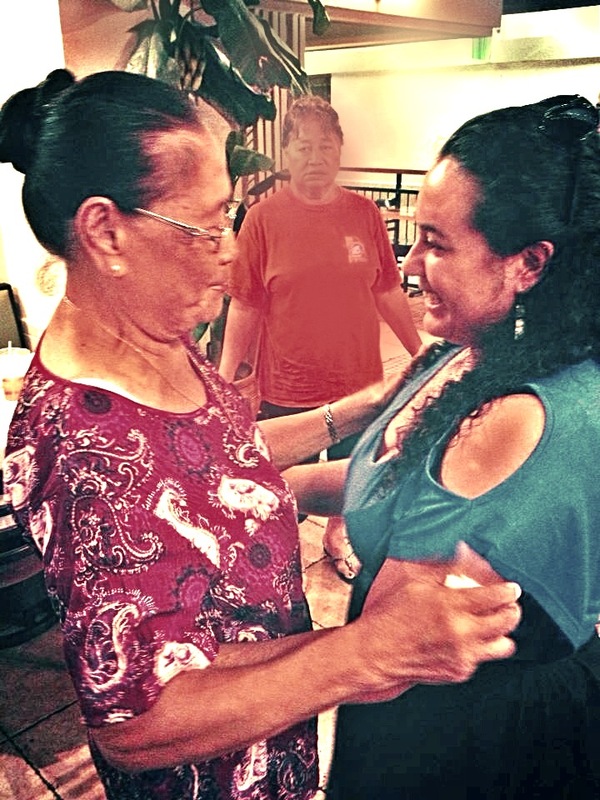 I was “the pele” (equivalent to princess, still am) and I was treated as such by all my grandma’s sisters living in American Samoa, which I refer to as my Aua grandmas. Grandma Fou was the oldest of all my grandmas. She was loving. She was kind. She was sweet. She was beautiful. She was wise. She was strong. She was a phenomenal woman. She had such a peaceful presence that would flow from her spirit. My mom said she was the best at putting babies to sleep. No matter how fussy I got, Grandma Fou would put me in her lap, sing to me and po po me until I fell asleep. I spent most of my infant and toddler years in her house. Like my Aunty Julia (Grandma Fou’s baby girl) said, I was the first grand-baby they took care of in their house. I remember feeling loved whenever she’d greet me with a “Hi Baby”, smile and kiss me on the lips. I remember feeling safe when in her arms. I remember feeling joy every time I saw her because I knew I was going to get money or candy. I remember looking forward to going to daycare in Aua because I never really stayed in daycare. I spent most of my time with her and Papa Fu’e in their house because they spoiled me and I loved it. 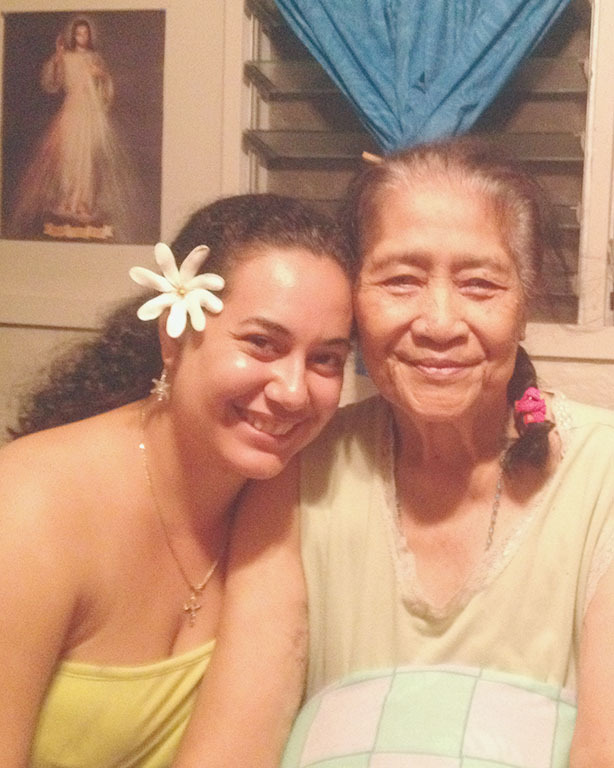 I remember our Fale family Christmases at her house. I remember family events and even random visits to Grandma Fou’s place just because. I remember how much I loved the relationship she had with her sisters. 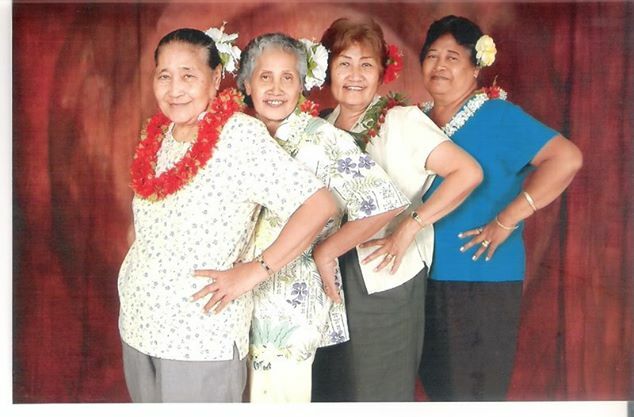 The Fale Sisters – My Aua Grandmas. I have no regrets. I loved her greatly and she knew it very well. I made time to see her and loved on her but not as much as she loved on me. She lived a full, blessed life and was clothed in beauty, humility, wisdom, strength and love. She always took care of her family and loved beyond words. Life won’t be the same without her earthly presence. She’s rejoicing with Jesus right now and experiencing a blessed reunion with Papa Fu’e, Great-Papa, Pema, Aunty La’i and all her loved ones that have gone before. Heaven gained another beautiful spirit. I love you Grandma. I will miss you immensely. I’m thankful for My Creator because without Him I won’t have life. I’m thankful for life because without life I wouldn’t know what love is. I’m thankful for love because without love I can’t build good, solid relationships. I’m thankful for all the relationships in my life because without my family, friends and acquaintances my life would be lonely & boring with no one to share my joys and pains with. I’m thankful for joys & pains because I’ve learned a lot about the plans God has for me and how He’s shaping me. I’m thankful for God’s plan for my life because it teaches me to rely on Him and His time. I’m thankful for time because it makes everything in my life more precious, priceless and I’m able to make beautiful moments that turn into precious memories. Happy Thanksgiving to everyone who makes everything about my life worth living & beautiful. Thank you.